Day 06: Spitok-Rumbak: Walking Time 6-7 hrs. Spitok monastery is one of the most importance as being one of the oldest from 15th centuary.A gradual walk through village Jingchan 3600m to Rumbak 3750m. Day 07: Rumbak-Yurutse: Walking Time 4-5 hrs. 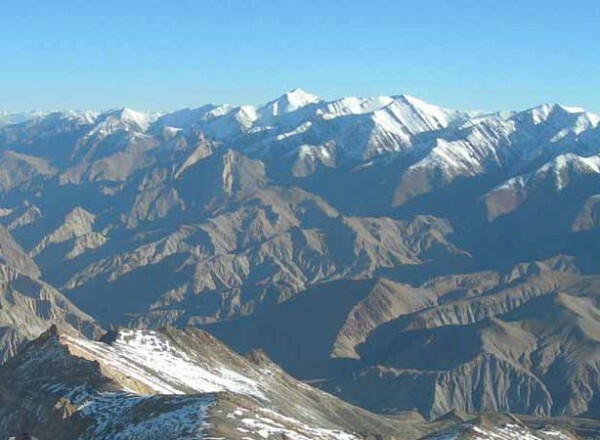 Spectacular view of Stok Range from Yurutse 4150m. Day 08: Ganda La-Markha Valley: Walking Time 6-7 hrs. Gandal La 4920m requires steady ascent and slow pace. Scenic view of Zhanskar Range. 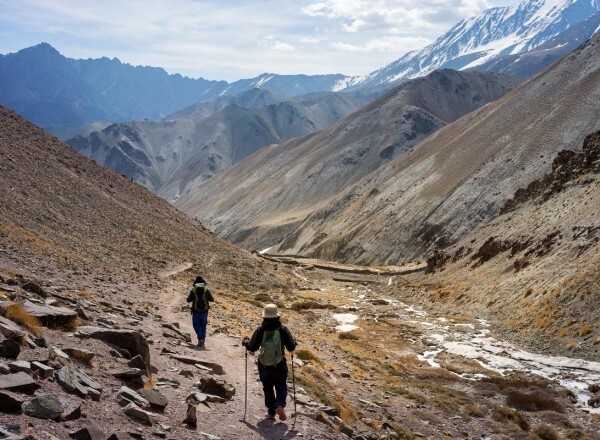 Through village Kaya 3650 it is gradual walk to Skiu 3700m. Day 10: Skiu-Markha: Walking Time 7-8 hrs. Trail crosses the river Markha several times. There are army bridges so no problem in crossing river although in past it was a big problem and people have to trek kms. for finding proper place to cross safely. 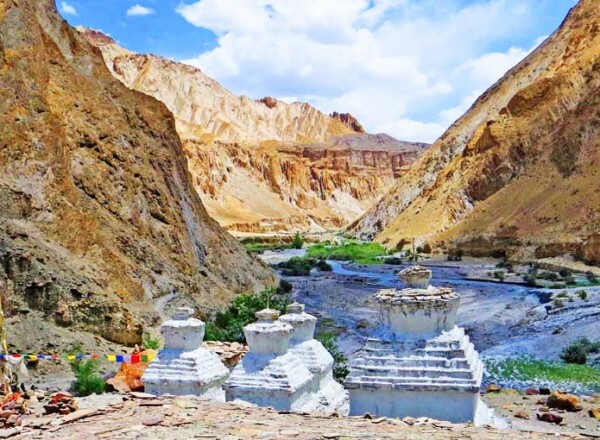 Markha village at 3850m is gradual walk through typical Ladakh trail. Day 11: Markha-Nimaling: Walking Time 7-8 hrs. Nimaling at 4650m is steady ascending and descending. Nimaling Plateau is green pasture where you can see permanent encampment of shepherds. This is a place which further provides excess to deep hidden valleys. 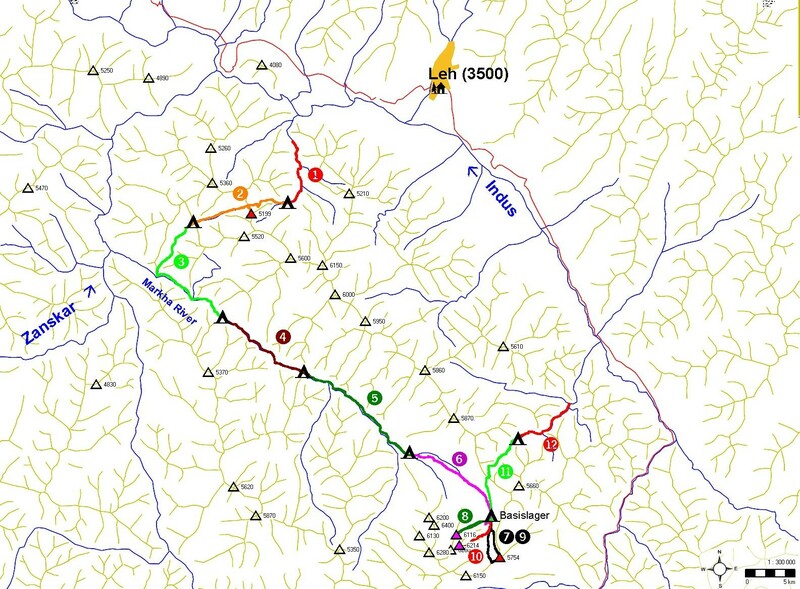 Day 12: Nimaling-Chogdo via kangmaru La: Walking Time 6 hrs. This is not as strenuous as it looks. Stady ascent to La 5030m will require 2 hrs. at most. From there you can see scenic view of Nimaling Plateau which seems like a land out of dreams as this is only green pasture among brown and gray land of rocks and scree. Chogdo at 4050m is gradual but long descent. Day 13: Chogdo-Hemis: Walking Time 4-5 hrs. 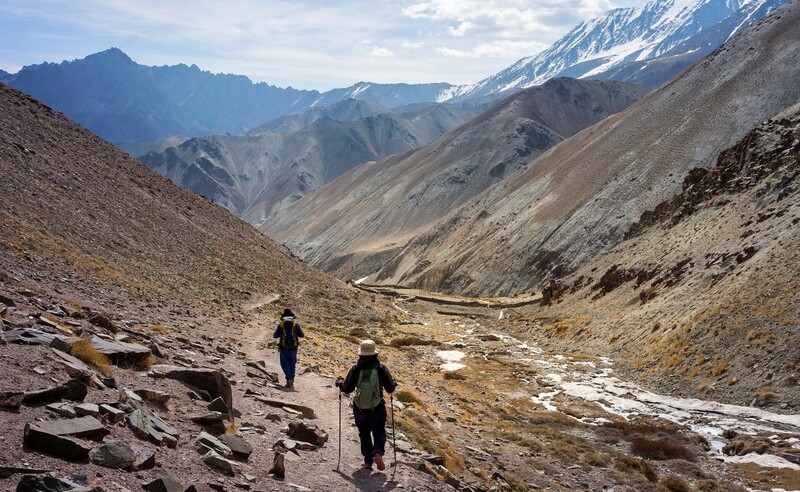 Walking besides stream, this is gradual walk to world famous monastery of Hemis which is said to be having links with Christ and Guru Nanak Dev, a Saint/Guru of Sikhs.